Need to make a little change? 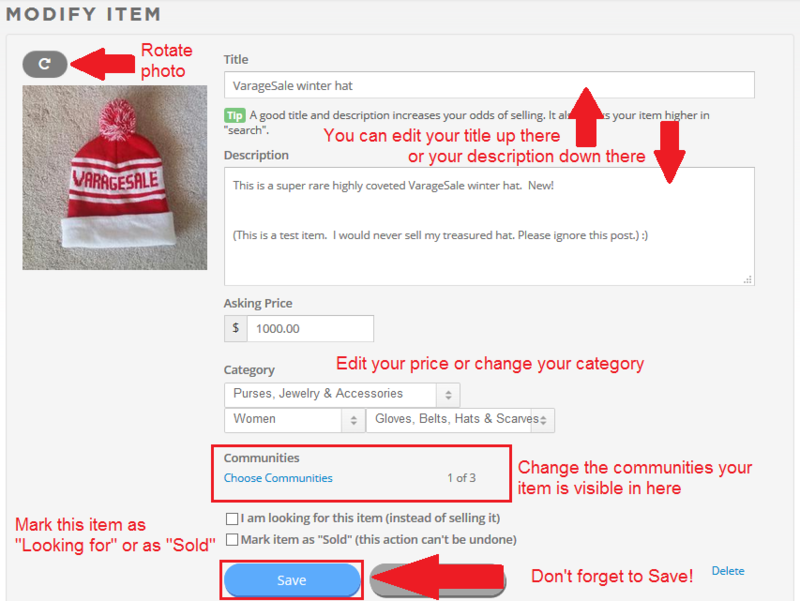 You can edit your item to modify any of the following: Title, Description, Price or Category. 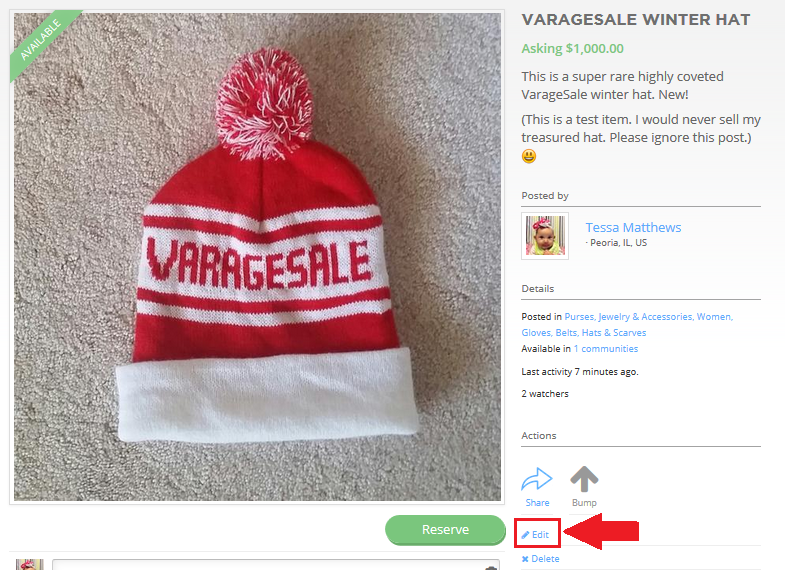 You can also rotate the photo, mark the item as sold, change the communities your item is visible in, or change from Looking for to Available, or Available to Looking for. Please keep in mind, you cannot replace the main photo with a different one. If you want to switch the photo, you’ll have to create a new post. Edit any necessary information. To rotate the photo, tap on the arrow on the corner of the image. To add or delete additional images, tap the + or the X, accordingly. Don't forget to tap on "Save" when all edits are complete. Tap on the picture that you want to edit. Make your changes to your item. To rotate the photo, tap on the arrow on the corner of the image. To add or delete additional images, tap the + or the X, accordingly. Tap on "Save". You may have to scroll your screen up to view the Save button. Click on the "My Stuff" store icon at the top of the page, and click the item you want to edit. Click "Edit" link at the lower right hand corner. Edit the necessary information. To rotate the photo, click the arrow in the corner of the image. Once your edit is complete, don't forget to click "Save".